MI CASA ES SU CASA, This is our philosophy at Villagraziosa, a corner of paradise located on the Sorrento coast surrounded by nature. 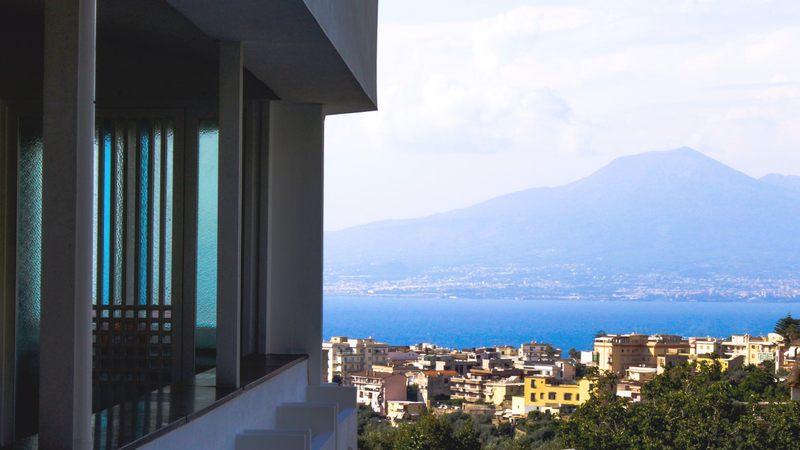 With an incomparable view on the Gulf of Naples, is the perfect place to relax away from everyday stress. 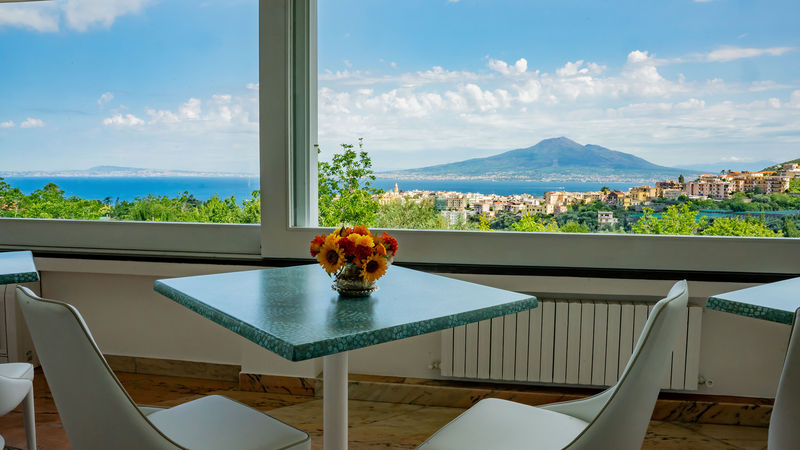 Enjoy the pool, sipping an excellent wine, live intensely what the Sorrento coast can offer, are just some of the things that Villagraziosa can give you. A way to get to know in depth the artistic and social culinary reality of the place. 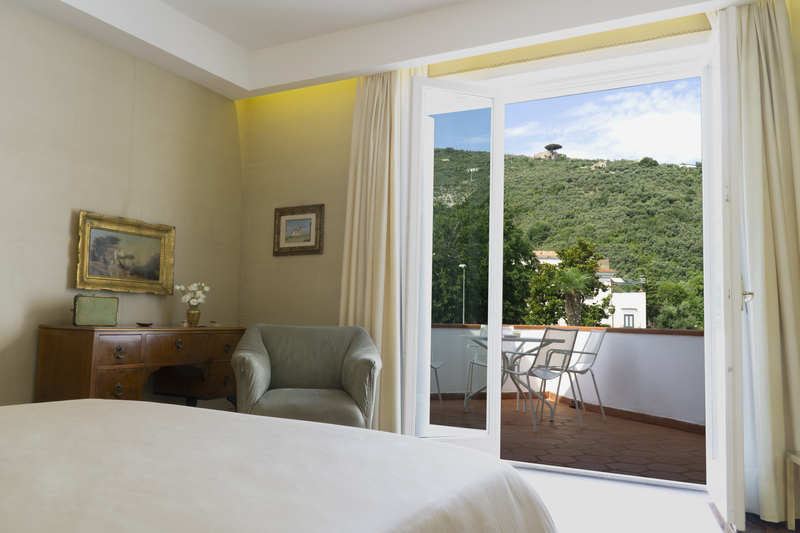 The 4 rooms are equipped with every comfort, and we will do everything to make your stay unforgettable. Villagraziosa is the perfect location for your wedding and special events. It's reserved and classy. 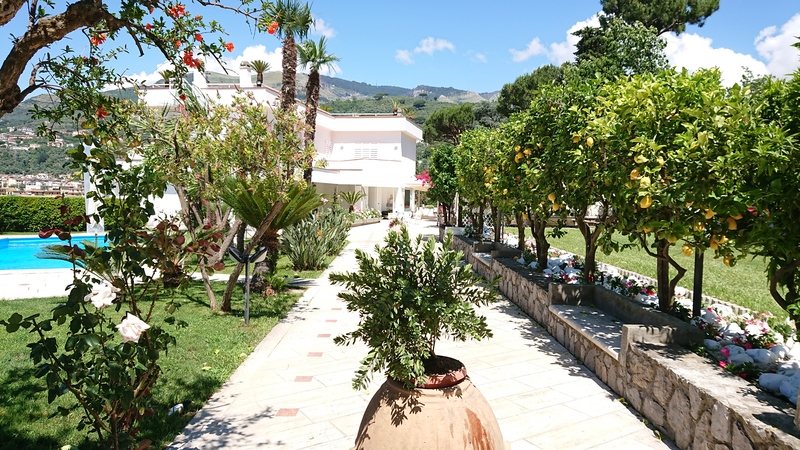 Dear guest, we thank you for choosing to stay at Villagraziosa. It will be our care to make your stay as pleasant as possible. In this regard we are proposing a series of experiences that we can organize for you. A day walking through the ruins of the most famous ancient Roman city. After the tour in the past, we proceed towards the peak of Vesuvius up to its crater and then after a tasting of local products and a good wine. If you are a lover of trekking you will be struck by it, if you do not love trekking you will begin to love it. The Path of Gods is a walking track between the towns of Agerola, Praiano and Positano, at an average height of 500 meters above sea level and it offers a memorable challenge within the local environment. A guided tour in the history of the city that with its contradictions and its beauty has always been one of the most visited destinations in the world. A lunch in the historic center and back to the Villa around 6:30 pm. Positano, Amalfi and Ravello with a private driver and on request a dedicated guide. Stroll through the alleys of Positano, taste the delights of Amalfi and visit the famous gardens of Villa Cimbrone and then return to the Villa in the evening. It will be an unforgettable experience! Enjoy one of the world's most exclusive and famous islands while drinking Prosecco on a speedboat with a sailor and a galley full of drinks and fruit. Visit caves, take unforgettable baths and walk comfortably through the center of Capri, with no worries about timetables and rows.It is an experience to try absolutely! If you do not want to go out tonight and do not want to go to the usual restaurant, we can organize an evening at the Villa for you. An evening dedicated to homemade pizza, we will teach you how to make the dough and roll out and chop pizzas of all tastes that you enjoy sitting by the pool. A bit like Pizza Experiece but based on typical dishes. A dinner in Villagraziosa from the starter to the dessert prepared just for you with the care and wealth that only the home-made cooking has.Tell us your preferences and we will prepare a mouth-watering dinner. If you love nature and panoramic views, this is the experience for you! Riding a beautiful horse you can enjoy two hours and more of a walk on ancient paths and after have a rich lunch based on local products and good wine.